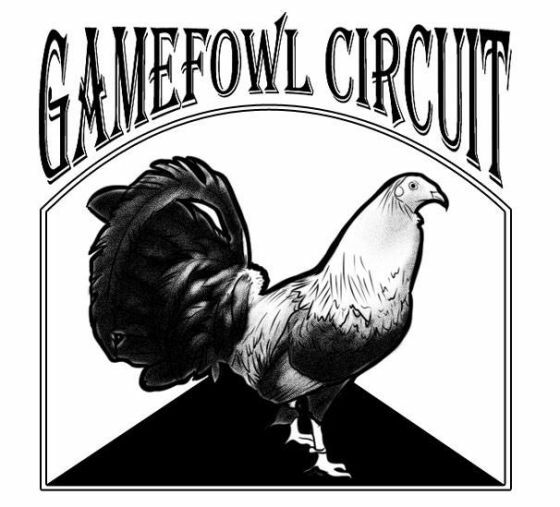 Democrats are gamefowl originated by Mr. Blondie Rollan teaming with Mr. William McRae at their farm in Alabama back in the early 60's. Both were very strong Democrat supporters of the late JFK. When JFK won as President of the U.S., the two breeders named their cross: DEMOCRATS. Distilled from a perfect four-way cross that expert breeders speculate to be: three parts, Hatch bloodine infusion, and one part, Claret as the base bloodline. The Claret part of the bird is where the white legged variants come from. These fighters are very intelligent and accurate (Claret), and powerful hitting (Hatch) roosters. Democrats range from medium-high to high stationed. Are burgundy red to dark red with full plumage that often has streaks of white at the wings and at the tails. Paytons have white-yellow legs and have black spurs. Roosters come 80% peacomb with short curve beaks. The gamefowl has big shoulders and the sleek body of the Kelso. The bloodline came into its own when Mr. Buddy Payton refined the gamefowl with his own infusions of clarets to create consistent winning fighters that hit hard. 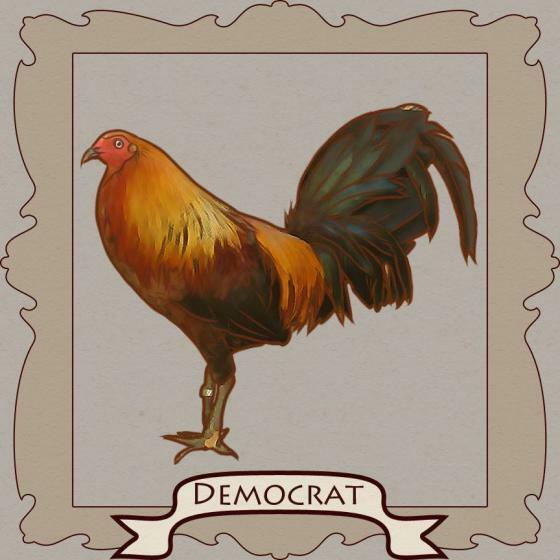 Democrats fight like their bloodline roosters: intelligent and accurate cutters like Clarets and powerful hitting like the Hatch. Like the Hatch, they also got the notoriety of ‘killing an opponent in one blow’ even while just sparring with leather gloves. Payton Democrats break well and fight like Lemons, ducking overhead attacks and side-stepping an incoming rooster, waiting for it to recover and attack again, then letting it all out as they come in. They fight smart even when they initiate combat, hitting accurately and powerfully. But more often, they watch their opponents for an opening before they attack. Some recommend crosses with modern Kelso’s like the Out and Out for Philippine-style knife fights for a winning rooster. Crossed with Lemons (Hulsey’s) gives the Democrat better agility. Cross with McRae Black-Hatch gives them speed attacks.